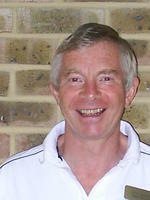 A National Standards and Bikeability instructor since 2004. I have experience training all ages and levels and have trained special needs children. I run regular training sessions during school holidays at the Vauxhall Recreation Club. Riding confidence for commuters and I hold training rides for special cycling events, especially the London to Brighton ride.I can provide special training programmes on line for charity rides.I can provide cycle maintenance tuition. I currently work as a fitness instructor/ personal trainer and have a therapy exercise business. Cycle training is £15/hr. and for travel over 10 miles from Luton there will be a fuel charge. Other sevices please contact me. I was a racing cyclist for many years specialising in hill climb racing and road/track racing. I am also a running instructor and have completed the London marathon. I now train and motivate others to run or cycle for charity events. Lessons cancelled within 24hrs. charged at full rate except for bad weather cancellation. Booking and consent forms can be e-mailed. Terms and conditions on booking form. Helmet recommended but not compulsory. Parental consent required for children. Payment cash or cheque only.